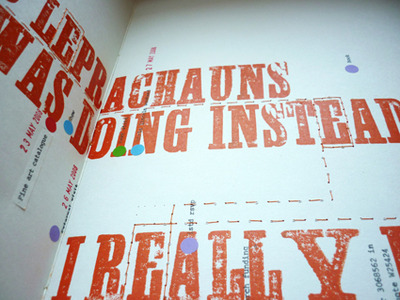 The unique artists' book uses a series of self-imposed rules and systems to determine its structure. It was produced in response to a 'call for entries' to investigate the theme (e)motive. This artefact was exhibited as part of the (E)motive exhibition at Artworks-MK, Milton Keynes and The University of Northampton.